Offering you a complete choice of products which include qst bars. We offer to our clients an outstanding range of Steel Bars - QST. The thermex cooling technology involves subjecting the bar to a predetermined quantity of high pressure water off the last rolling mill stand. Air and Water pressure is automatically controlled by the PLC system from ABB, based on the size, speed and temperature of the rod. 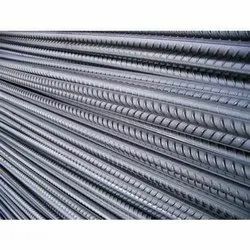 This treatment converts the bar outer surface to a hardened structure. The subsequent phase involves cooling at ambient temperature to allow the hot core temer the surface through thermal exchange. This results in unique structure of tempered martensite in the peripheral zone and a fine grain of ferritepearlite at central zone. Looking for Steel Bars - QST ?